Skydive Spaceland is thrilled to announce the full-time addition of longtime competitive skydiver Scott Latinis to the Skydive Spaceland team as Organizing and Events Director. Latinis brings decades of high-level competitive formation skydiving experience, three world records, nine USPA National Skydiving Championships, and his trademark energy to this new position, which serves all four Spaceland drop zones. 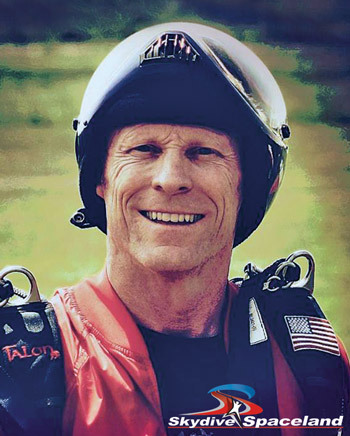 Boyd opened the first Skydive Spaceland just south of Houston, Texas, in February of 2000, followed by expansion to Clewiston, Florida, near Miami in early 2013; to Rockmart, Georgia, near Atlanta in May 2015; and to Whitewright, Texas, near Dallas in April 2016. Spaceland Houston conducts more than 100,000 skydives per year and has hosted major skydiving competitions including the U.S. National Skydiving Championships. It is also the busiest civilian skydiving school in the country. Building on Spaceland’s successful Skydiver Training Program and Transitions programs that support new skydivers, Latinis plans to grow Spaceland’s organizing program to fully support licensed jumpers of all experience levels and all disciplines. “No matter what your skill level is, we’ll have something fun for you to do at Spaceland,” said Latinis. Latinis is already working on some innovative events, including FlySight-aided tracking competitions at Houston and Dallas in 2016 and the Pre-Nationals Meet in 2017 for competitors to pre-test themselves against peers before the National Skydiving Championships. “We have a ton of great ideas, and I’m excited to be a part of this team as we take all of the Spacelands to the next level,” Latinis added. Great catch for Spaceland. Congratulations tonScott on finally landing a real job! Oh boy. Things are going to get interesting now! Congrats Scott! Congratulations Scott! Super happy for you my brother! Scott … Do you still have the homemade gift in a jar that I made for you when several of us celebrated your birthday in Vidor Texas ? Congrats on your skydiving successes. Does Stacy still want to marry me ?